The chelicerata fossil record tends to be sparse because their soft, chitinous exoskeletons poorly preserved. The best soft tissue preservation occur in lagerstätten sites and fossil amber. There is considerable disagreement in classifying older fossils as chelicerates, as is the case of many early arthropods. For example, there is debate about whether Fuxianhuia protensa from the early Cambrian Chengjiang Maotianshan Shales (525 million years ago), was a chelicerate. 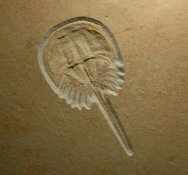 Similarly, Kodymirus, is a an arthropod known from the Czech republic for which there is debate as to its taxonomy as a eurypterid, aglaspid or chelicerate. Sanctacaris and Sidneyia, from the Burgess Shale (505 million years ago) have been classified as chelicerates (or stem or crown group chelicerates), the former because of its pattern of tagmosis (how the segments are grouped, especially in the head) and the latter because of appendages that resemble those of horseshoe crabs, (Chelicerata Order Xiphosura); however, cladistic analyses that consider wider ranges of characteristics place neither as chelicerates. 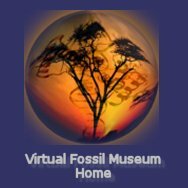 Resolving the early arthropod debate is hindered by a gap in the fossil record of some 40 million years between these equivocal chelicerates, or close relatives, and unequivocal chelicerate fossils, or at least those for which there exists scientific consensus. Palaeotarbus jerami (picture to lowerleft), an trigonotarbid, is considered the oldest known arachnid. The Order Trigonotarbida is an extinct group of arachnids whose fossil record extends from the late Silurian to the early Permian (i.e., some 419 to 290 million years). Th e trigonotarbids have been found in European and North America localities and in Argentina. Trigonotarbids are mostly found in Carboniferous coal forest deposits (around 300 million years old) but are known from as early as the Late Silurian (around 415 million years ago). The Rhynie Chert Lagerstätte of Scotland has pruduced some especially well-preserved specimens. Trigonotarbids looked like spiders, but ostensibly lacked silk spinnerets to produce silk and were probably not venomous. The Devonian Attercopus fimbriunguis (386 million years ago) shows the earliest silk spigots known in the fossil record, but not true spinnerets of true spiders. The most scorpion-like of the Eurypterids (and possibly ancestral to the scorpions), is a diverse group of often spiny Eurypterids of Superfamily Mixopteracea. Many of these animals were clearly amphibious, as is indicated by a trail in the Silurian of Ringerike, Norway, believed to have been made by a large Mixopterus. Carcinosoma scorpionis late Silurian (Ludlow) of New York reached a length a half meter. The Late Silurian Proscorpius has been classified as a scorpion, but differs from modern ones in that it seems entirely aquatic because it had gills rather than book lungs or tracheae, and its mouth was completely under its head and almost between the first pair of legs, as in the extinct eurypterids and living horseshoe crabs. 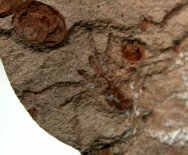 Fossils of terrestrial scorpions with book lungs have been found in Early Devonian rocks form about 402 million years ago. Chelicerates mostly creep people out, as arachnophobes abound, and who can blame them, as vividly clear from the picture of the yellow mite (Prostigmata family Tydeidae) to the above right. 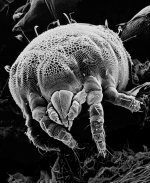 If you are going to look for a fossil yellow mite , look in amber, with a very powerful microscope. Spiders are a more modern rendering of Chelicerata, and comprise a hugely diverse (with more than 40,000 species distributed across more than 100 families) taxon of mostly very skilled and well-armed (e.g., venom and silk) predators, all honed through several million years of adaptation. It is fairly undisputed that spiders are monophyletic, comprising a last common ancestor and all descendants, though their prior closest ancestor is a long-running dispute. The orb-weaver spiders of Family Araneidae represent about a quarter of spider diversity with some 168 genera and more than three thousand species. The orb weavers are particularly noted for beautiful their webs and sexual size dimorphism (females up to nine fold larger than males). They are infamous for their sexual cannibalism. Ostensibly, a relatively diminutive male was selected which enabled a stealthy approach in her highnesses web in dedicated pursuit of his manly duties - if not stealthy enough, he became a snack. If successful and satisfied, he became lunch anyway.